The RV Industry is Getting Younger by the Minute! There was a time during yesteryear when anyone who heard the term, “RV,” would conjure up an image of owners that would inevitably be stereotyped as older, retired and ready to step into a motorhome and waltz away from society. There are so many people missing out on the fun of traveling in a recreational vehicle, and sadly, it’s usually because they don’t realize how fun and easy it is. These people are missing out simply because they are unsure of the unknown. 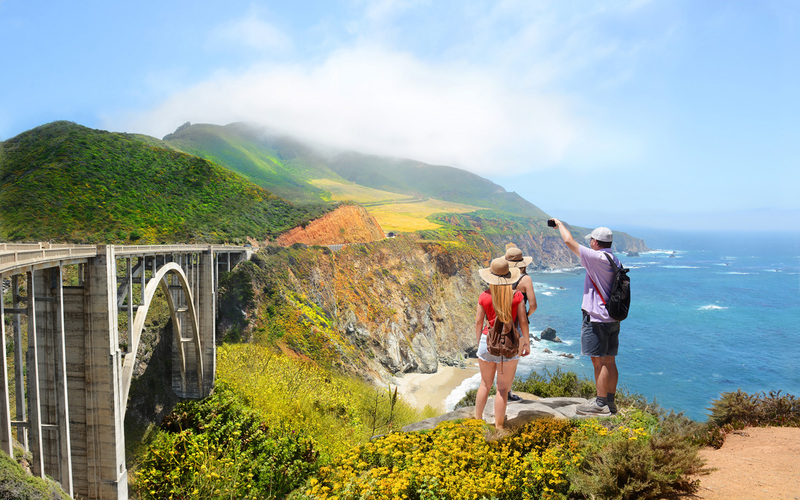 Traveling in a Cruise America rental RV is a liberating way to get away. That’s because you’re never encumbered with the normal components of travel, such as flight schedules, hotel reservations and car rentals. It’s a way to enjoy the company of your friends and family as you make your way over the river and through the woods to grandmother’s house, or wherever your chosen destination may be. There are only so many ways to travel. It’s pretty simple; you can drive the whole way in your family car — Oh, yeah, that’s always a blast with the kids squirming and the luggage getting rained, snowed and hailed upon as it rides restlessly on top of the car. Surely we all love those dear Christmas carols, but sometimes the words can be just a tad redundant. For a fun family traveling game, try to replace the words of your favorite songs to match the activities of the day. Here are a few examples of what we mean. 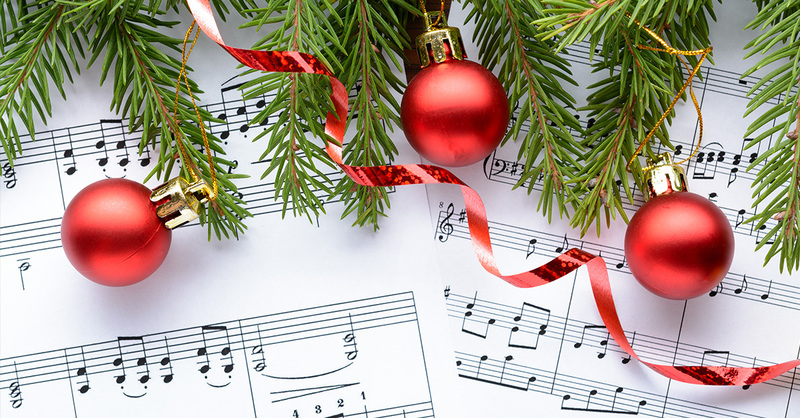 Cruise America Presents … The Best of Cruise Christmas Music!!! The kind you spend in an RV. 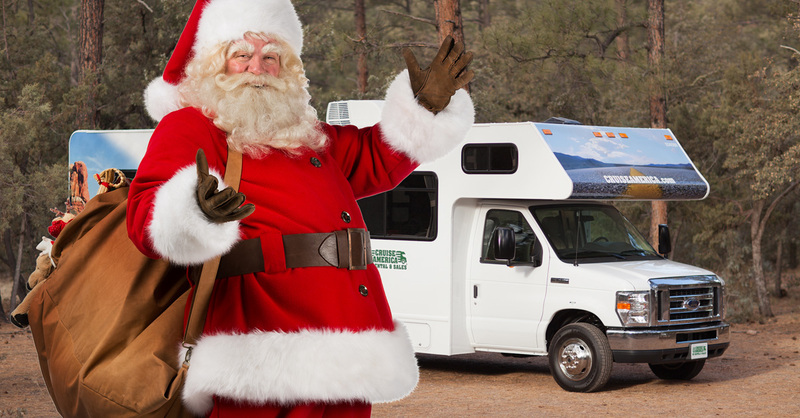 Have a Holly, Jolly Campout! It’s the most wonderful time of the year, or so it’s been sung. A time for family, friends and sharing. However, sometimes it’s a special treat to get away and experience the spirit of Christmas in the great outdoors. Nothing must be sacrificed, and the ambiance can be exhilarating if you’ve never spent the holidays under the clear, starry skies in the heart of Mother Nature. 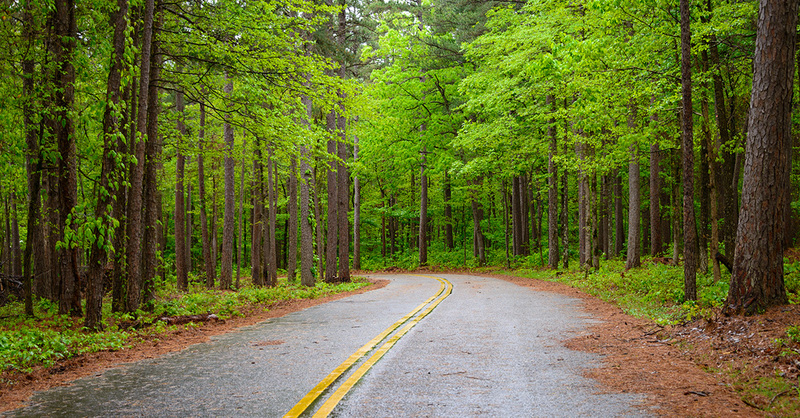 One of the nation’s most beloved activities is to travel the open road in a Cruise America rental RV. Another beloved tradition is to celebrate Thanksgiving by cooking and devouring an entire turkey, along with the other accoutrements. So, why not combine these two activities and hit the open road this November? 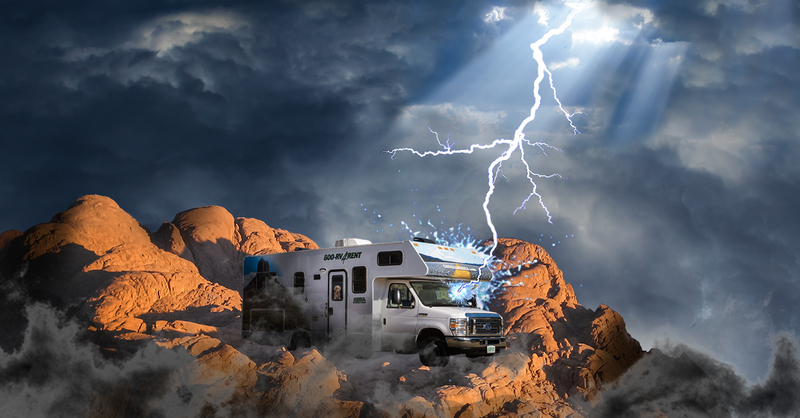 Visit Haunted Homes in your Motorhome! Summer has officially ended, and travelers are trading in their swimsuits for light jackets, sweaters and binoculars. That’s because this is the amazing time of year to go looking for the beautiful fireshow of leaves that give up their green attire for a motif of red, yellow and orange. Start saving up your well-earned dollars now, so that by next year you can afford the airline tickets for you and your family. 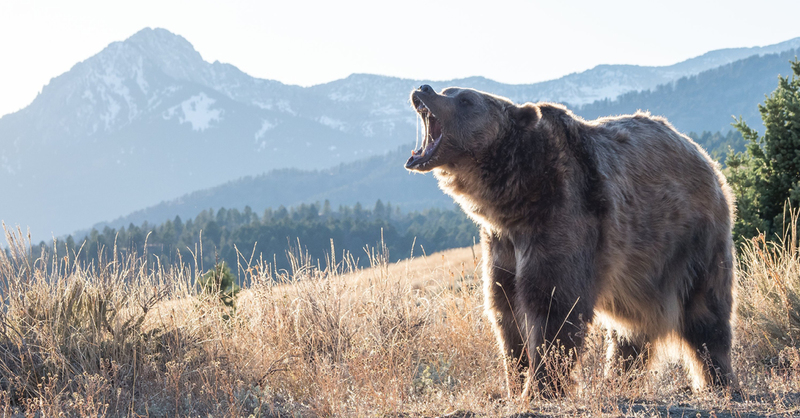 Two hunters rented an RV from Cruise America to take on their bear hunting trip. It was early the morning after their arrival that one of the hunters decided to go scouting for bear while the other stayed home to get things organized and make some breakfast. In Arizona, motorhomes are abundant. There are many factors lending to the large number, but one of the biggest ones is that the Arizona weather is great for traveling all throughout the year. The winters are mild, and the spring and fall are gorgeous. 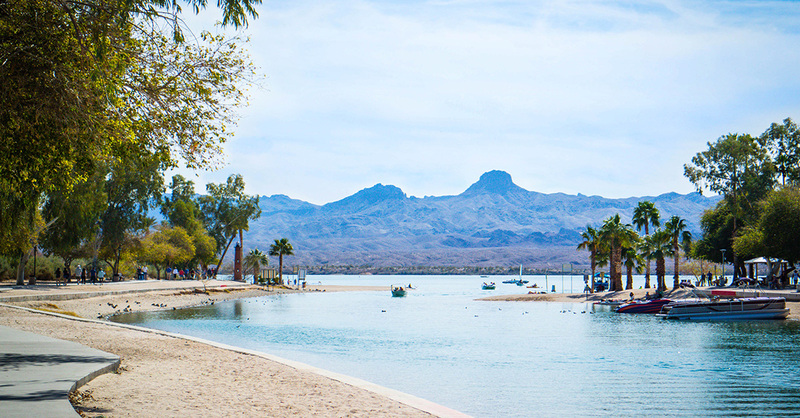 Summer time is a great time to head north (in an air-conditioned Cruise America Arizona RV rental) and see all the wonders Arizona has to offer. 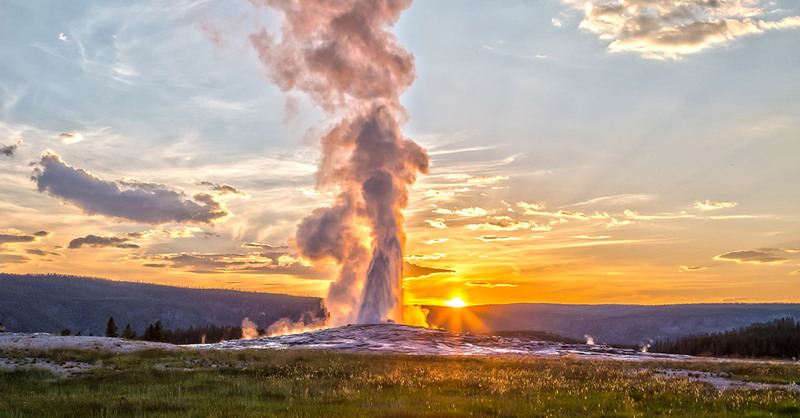 Yellowstone National Park is a wonderland of what appear to be magical formations, colorful hot springs, boiling mud pots, as well as one of the best shows that Mother Nature offers: The world’s largest concentration of geysers! In addition to the beauty of the underworld coming forth to the surface, there is an abundance of wildlife to see. How About a Unique Way to Camp? 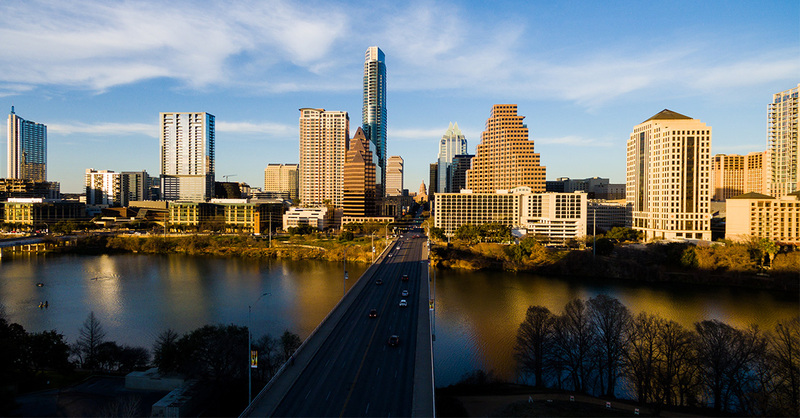 In our blogs, we have suggested a myriad of places you can take your family or group camping in your Cruise America rental RV. However, we have a unique RV camping idea for those who really embrace their privacy. How about renting your own private forest? Good News: One of the greatest things about a trip in an RV is that there are so many wonderful memories that come along with the adventure. Bad News: It’s a shame that our minds aren’t capable of remembering all of the good times on your RV trip. Good News: Most of our cell phones are now equipped with decent cameras that take great photos, so we have help remembering what we don’t want to forget.